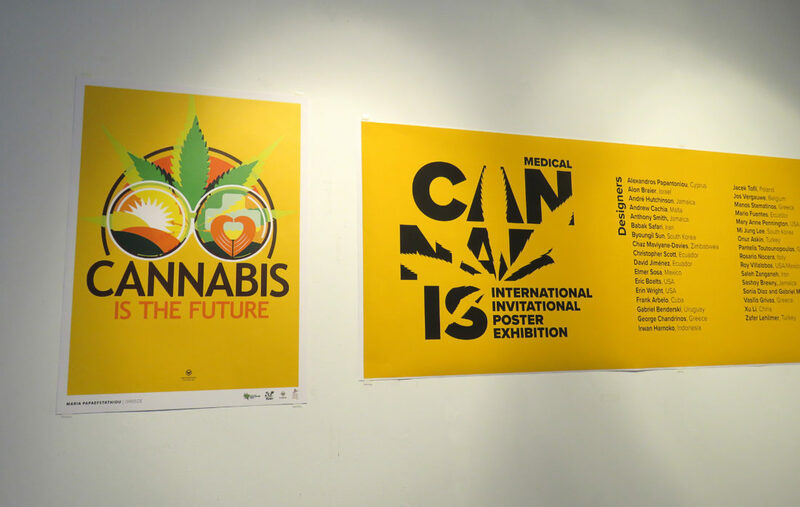 The IRPC and its co-founder Maria Papaefstathiou invited 50 designers from 27 countries to participate in the first Cannabis Poster Exhibition. 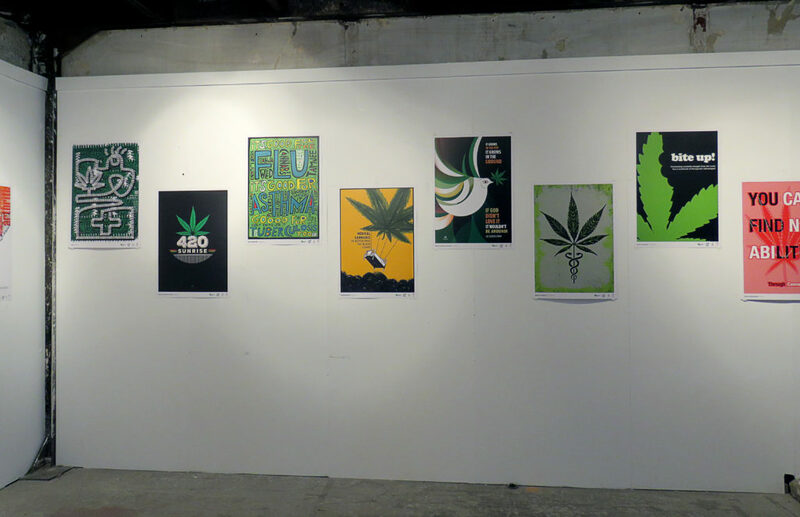 43 posters were submitted and were exhibited at the BALKANNABIS EXPO in Athens, Greece, on June 1-3, 2018. 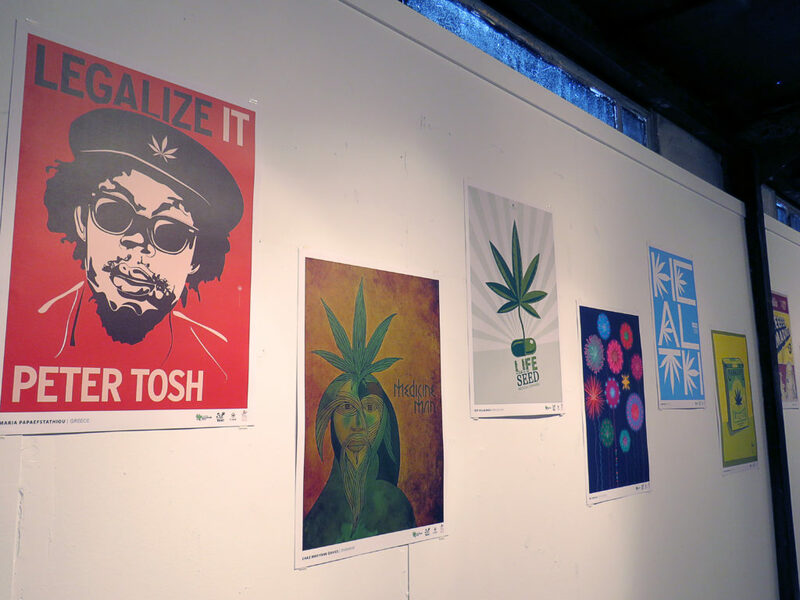 The EXPO is an international trade fair and conference on medical cannabis and hemp applications. More than 120 exhibitors and 30+ world-renowned speakers convened at the event. 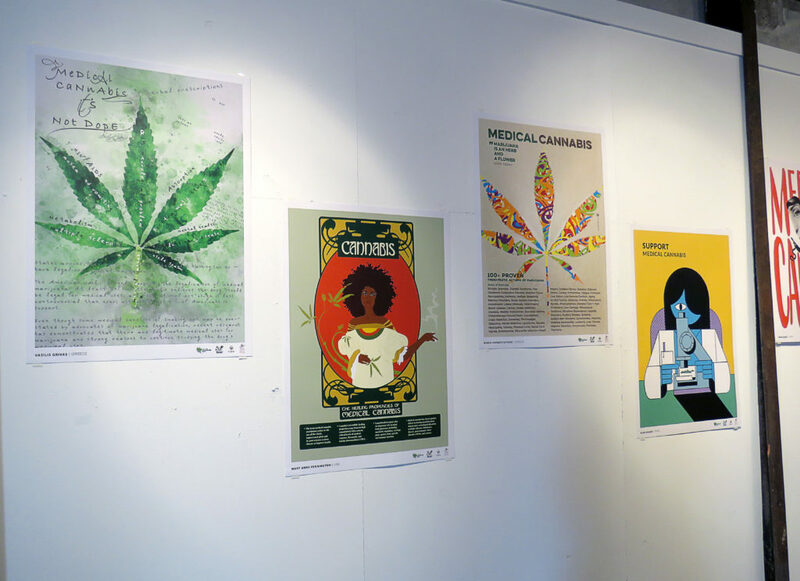 The main goal of the Cannabis Poster Exhibition was to raise awareness of the healing properties of the cannabis plant and its many uses. 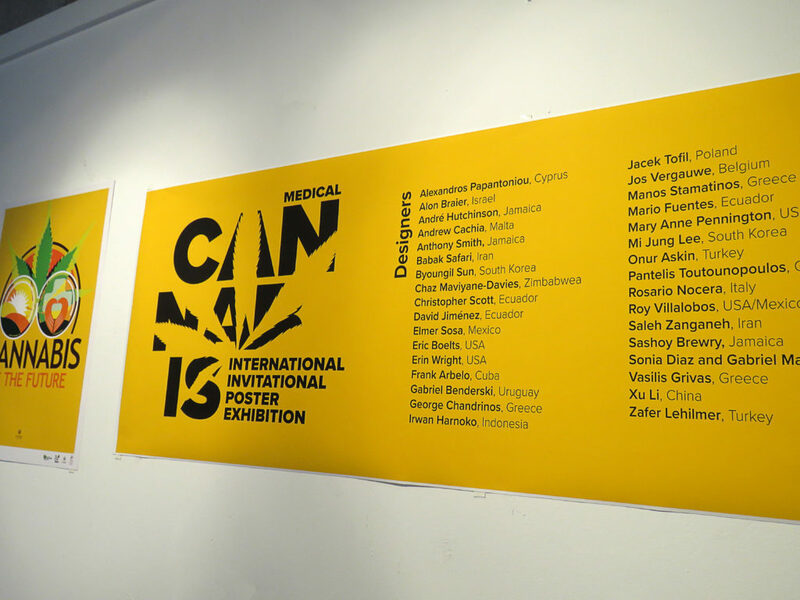 The exhibition was a big success with 50 iconic and unique poster designs seen by hundreds of visitors who showed great interest in having the exhibition tour to other countries. The posters were available for sale and proceeds were donated to solidarity organizations working with unescorted refugee children in Greece. Byoungil Sun, South Korea; Chaz Maviyane-Davies, Zimbabwe; Christopher Scott, Ecuador; David Jiménez, Ecuador; Elmer Sosa, Mexico; Eric Boelts, USA; Erin Wright, USA; Frank Arbelo, Cuba; Gabriel Benderski, Uruguay; George Chandrinos, Greece; Irwan Harnoko, Indonesia; Jacek Tofil, Poland; Jos Vergauwe, Belgium; Manos Stamatinos, Greece; Mario Fuentes, Ecuador; Maria Papaefstathiou, Greece; Mary Anne Pennington, USA; Mi Jung Lee, South Korea; Onur Askin, Turkey; Pantelis Toutounopoulos, Greece; Rosario Nocera, Italy; Roy Villalobos, USA/Mexico; Saleh Zanganeh, Iran; Sashoy Brewry, Jamaica; Sonia Diaz and Gabriel Martinez, Spain; Vasilis Grivas, Greece; Xu Li, China; Zafer Lehilmer, Turkey.